Incredibly stunning scenery, twice voted as UNESCO Natural World Heritage Site and one of new 7 Natural wonders of the world, delicious food, delicated staff service and luxury accommadation on Halong bay cruises will create some of the best days in your life. It is worth to fly thousands of kilometer to Vietnam, join 3day Halong bay tours from Hanoi and fly home. 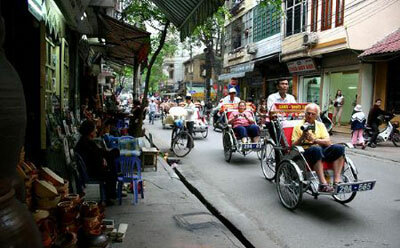 Here is the best recommendation and highlight of all 3 day Vietnam tour packages. 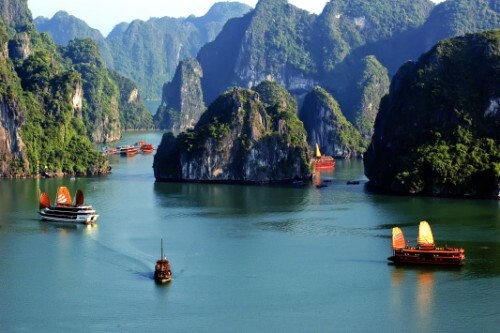 Just 4 day Vietnam Tour to discover Vietnam's top destinations: fascinating Halong bay and amazing Hanoi. Tour Halong Bay through many of 1969 naturally sculpted limestone islands rising up one after one from emerald water( where James Bone 007 in Tomorrow Will Nerver Dies was filmed). Visit Surprising cave and climb to the top of Tip top island for wonderful photos of a lifetime travel. Explore one of the most bustling floating markets in Mekong delta. Here, you can see manybarges with many different types of fruits and vegetables and the owners are doing the ancient ways of trade. 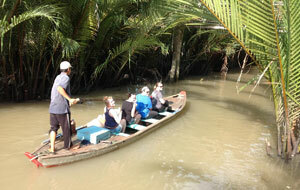 Join sampan along the canals and the palm-shaded creek to experience water traffic for the local people. 4days/3nights Vietnam tour includes cyclo ride around Charming Old Quarter, Temple of literature, Ho Chi Minh complex including HCM mausoleum, the charming boutique garden, the Presidentail Palace and his stilt house and Water puppet show . Customize best Vietnam travel package with us. Charming and peaceful valley surrounded by majestical limestone mountains, green rice fields, rivers and white Thai's beautiful stilt houses offers Vietnam trips from adventure to culture discovery. 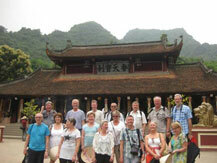 This is one of good choice for your Vietnam travel in term of cultural and eco tours.